Readers, back in January this year we had updated you on the Canadian Smartphone maker, BlackBerry, working on planning to introduce BBM Voice and BBM Channel features on its BBM-Android and iPhone apps. 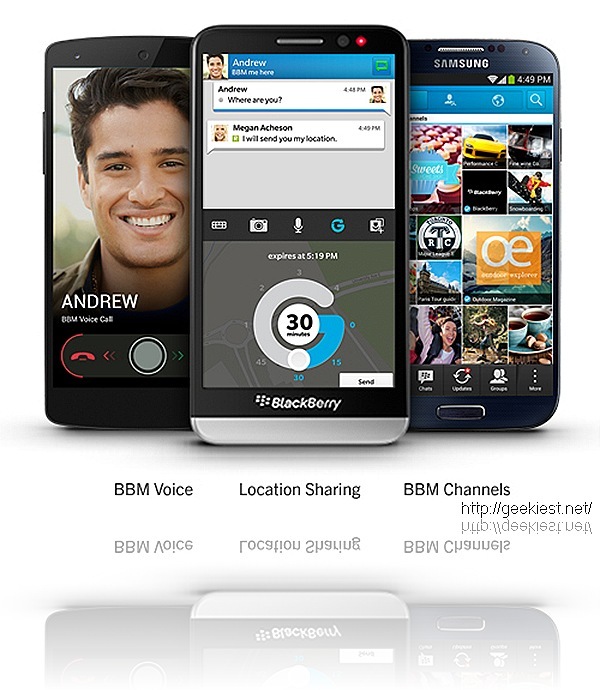 Giving a tough competition to apps such as Viber, Line and WhatsApp, BBM Voice allows you to make Free calls to other BBM contacts anywhere in the world, using your Wi-Fi or data connection. An extension of the messenger, BBM Channels is a kind of a social networking platform wherein users will be able to chat, share, upload to and join channels of their interests, or of a brand or service of their choice. In turn, channel owner’s will be able to communicate with their followers, and share posts, images, offers and updates. Location sharing which is powered by Glympse, allows sharing your live location with others for a specific amount of time. This can be useful to not only let others know where you are, but also use the same should you are lost or in need of help. This feature make it very easy to share a pic, voice note or file with your contacts. So now you can not only share a photo , but also give a personal touch by sending a voice note. Awesome! Dropbox - the most popular application - is now built in to your BBM, making it even more easy to send a file from your personal Dropbox cloud directly to a BBM contact. 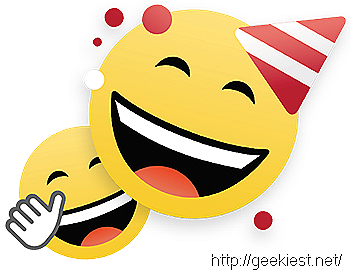 Now have more fun chatting with 100 great new emoticons. The BBM Groups can now accommodate 50 people allowing you to get more of your friends, family or team in to discuss, chat and more. Before I end, do check out the video (courtesy BlackBerry) below for a peak at all the action in the new BBM. So get going and get your BBM from either Google Play store, or Apple iTunes store.